On occasion of the President meeting with the National Council for Women and others, Parliamentarian and President of the 'Reform and Development' party, Mohamed Anwar El Sadat, invited President Abdel Fattah El Sisi to meet with members of the National Council for Human Rights and representatives of civil society organizations in the presence of concerned Ministers to start a dialogue on human rights, political, economic and social priorities of the current phase, in the midst of challenges facing Egypt and its people, assuring the role of Egyptian national security and the importance of regulating and government supervision on civil society activities without interference and with respect to the law. 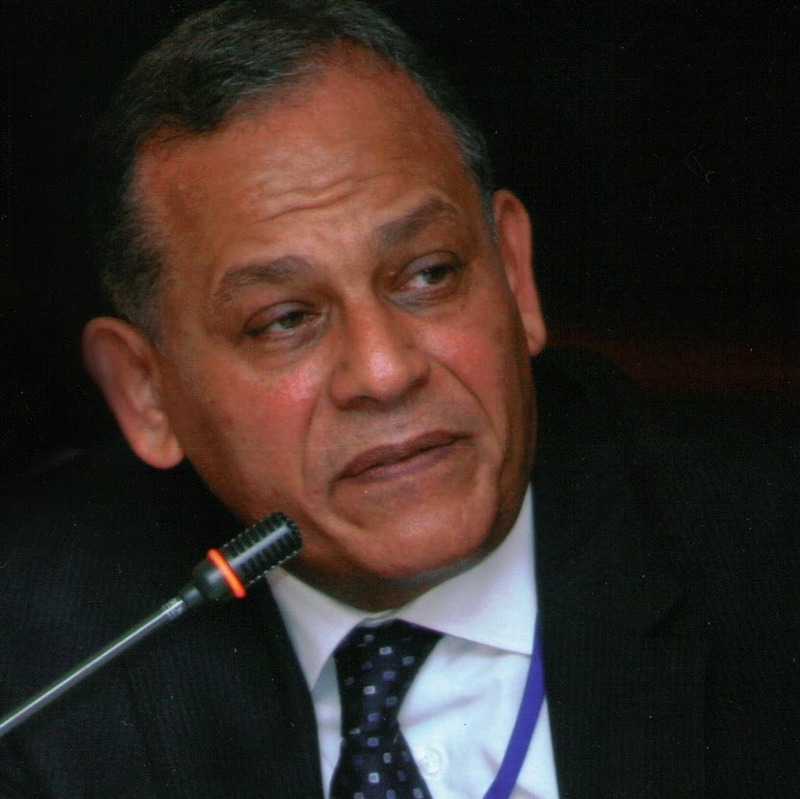 El Sadat pointed to the importance of enacting the constitution and establishing proper and fair legal regulations to organize the work of civil society organizations in Egypt, guaranteeing their effective participation in sustainable development. بمناسبة لقاءات الرئيس بالمجالس الوطنية للمرأة وغيرها دعا أ/ محمد أنور السادات " رئيس حزب الإصلاح والتنمية " الرئيس / عبد الفتاح السيسى إلى لقاء أعضاء المجلس القومى لحقوق الإنسان وبعض منظمات المجتمع المدنى وبحضور الوزراء والمسئولين للحواروالنقاش حول قضايا حقوق الإنسان السياسية والإقتصادية والإجتماعية وأولويات المرحلة الحالية في ظل التحديات التي تواجهها مصرالدولة والشعب والتأكيد على دور الأمن القومى المصرى وأهمية تنظيم وإشراف الحكومة على أنشطة المجتمع المدنى دون تدخلها مادامت في إطار إحترام القانون. وأشار السادات إلى ضرورة تفعيل الدستوروإرساء قواعد قانونية سليمة وعادلة لتنظيم عمل منظمات المجتمع المدنى في مصر بما يضمن مشاركته الفاعلة في التنمية المستدامة..
Parliamentarian and President of the 'Reform and Development' party, Anwar El Sadat, expressed his dissent regarding the delay in ratifying the parliamentary bylaws, postponing the start of internal elections of parliamentary committees. This delay does not enable House of Representatives members to carry out their role in responding to people's needs, under pressure from groups that assemble in front of Parliament building demanding attention to their concerns and rights. 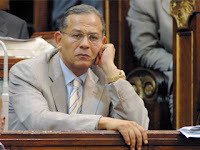 El Sadat wondered, in who's interest is this delay which raises anger among Egyptians and leaves Parliament unable to carry out its constitutional commitments, starting with discussing the general budget expected to reach the house first of April. Parliament will be tasked with reviewing the budget and clauses on different sectors such as health and education. El Sadat considered this intentional obstruction to the work of Parliament a wrong decision which brings more harm than good, considering that the state holds the prime responsibility towards the people with the Parliament as simply an instrument or a mediator.El Sadat called for the necessity of informing the public about the work of the committee being formed, tasked with discussing the government's program through live and immediate media coverage calling it: the government for the people, not the people for the government. We hope that dealing with the hijacked Egypt Air flight is done in a professional manner, without and not to rush to make statements without accurate investigations and accuracy through a crisis management working cell, to ensure credibility to Egyptians and the international world because it is clear that the hijacker's message is to show a negative image regarding the inspection and safety procedures at our airports to hit domestic and international tourism, which the government has made a great effort over the last period to restore the confidence of governments and companies of international tourism. Parliamentarian and President of the ‘Reform and Development’ party, Anwar El Sadat, expressed his dissent regarding the delay in ratifying the parliamentary bylaws, postponing the start of internal elections of parliamentary committees. This delay does not enable House of Representatives members to carry out their role in responding to people’s needs, under pressure from groups that assemble in front of Parliament building demanding attention to their concerns and rights. 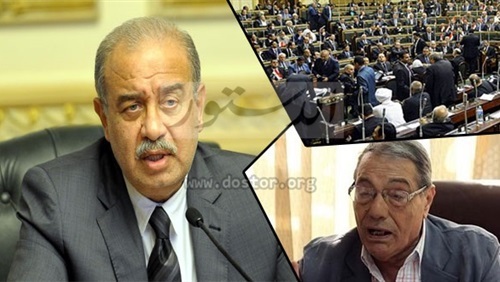 El Sadat wondered, in who’s interest is this delay which raises anger among Egyptians and leaves Parliament unable to carry out its constitutional commitments, starting with discussing the general budget expected to reach the house first of April. Parliament will be tasked with reviewing the budget and clauses on different sectors such as health and education. El Sadat considered this intentional obstruction to the work of Parliament a wrong decision which brings more harm than good, considering that the state holds the prime responsibility towards the people with the Parliament as simply an instrument or a mediator. El Sadat called for the necessity of informing the public about the work of the committee being formed, tasked with discussing the government’s program through live and immediate media coverage calling it: the government for the people, not the people for the government. The Egyptian parliament resumed its role at the beginning of 2016, following a four-year absence. 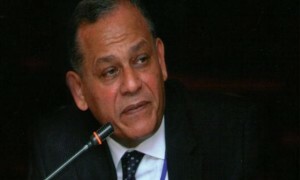 MP Mohamed Anwar Sadat, a party leader and longtime participant in the public sphere, spoke to Daily News Egypt a few days ahead of Prime Minister Sherif Ismail’s statement, upon which the parliament will decide whether to renew confidence in the current cabinet or dissolve it, within 30 days of Ismail’s speech. 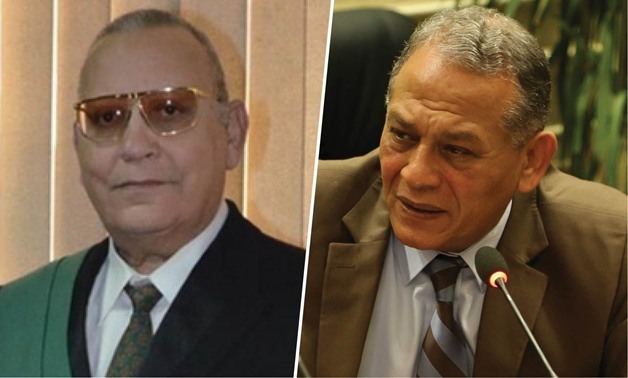 “Ismail gave a typical protocol statement, but by default the cabinet’s presented programme brings new changes based on new articles that were introduced in the 2014 constitution,” Sadat commented over the phone on Monday following the speech. The parliamentary member is part of a special internal committee formed by the parliament, tasked with dissecting the programme’s chapters, to be later distributed among other internal committees for examination. 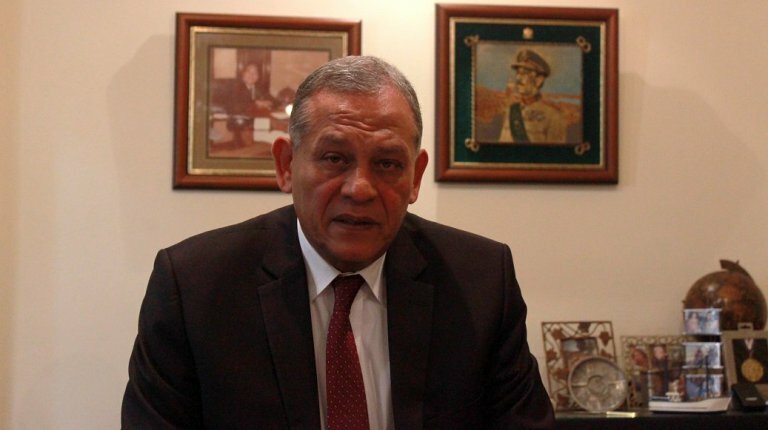 In the interview, Sadat provided his impressions of the parliament, which he views as being at an early stage, having not yet been put to the test in terms of performing its legislative role, as well as holding the government accountable. “The [parliament’s] monitoring role is major. People feel no one from the government or its institutions is ever being held accountable for any mistakes,” he states. The leader of the Reform and Development Party himself criticised the functioning political parties. He explained his vision for unity between different independent and non-independent groups to achieve goals that he views as common between President Abdel Fattah Al-Sisi, the government and the parliament, consisting mainly of developing a civil democratic modern state. As for the parliament, Sadat is going to run for the presidency of the parliament’s internal Human Rights Committee. 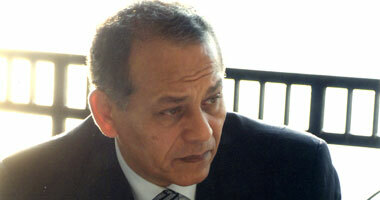 Sadat told Daily News Egypt that he is betting on the role of women and youth inside the parliament. Going back to the ouster of the Muslim Brotherhood’s regime, how did you view Egypt then, and how do you view the Brotherhood currently and the potential for reconciliation? The Brotherhood’s time in power was a harsh experience for Egyptians, I believe. Nobody denies that they were brought to power by free and transparent elections, but I wish they also had left power in such a democratic manner when people started calling for that. Unfortunately, they did not listen and persisted in opposing all state institutions, whether the judiciary, police, army and even political parties and forces. As a result, it was natural for people to get angry with them, and call for army intervention to put end to a situation that would have developed into very serious conflicts. The Brotherhood terribly mismanaged this country and squandered the golden opportunity they had when they obtained the majority in the parliament as well as the presidency. Meanwhile, Egyptians are not open to the idea of approving the Brotherhood’s return [to the political scene] or allowing it to perform any of their activities, whether under the umbrella of a political party, or a group, given the ongoing violence and terrorists attacks that occur on an almost daily basis. The Brotherhood is in a position that prevents it from engaging in any dialogue at the moment. They are witnessing huge internal disparities between the old and new generation. However, one day there must be reconciliation and re-integration of the Brotherhood, based on their respect of the legitimacy of the regime in place and the constitution, as well as the rejection of violence. [This includes] not only the Brotherhood but all political Islamic groups, including Salafists, who despite being legitimately involved in the political sphere are facing hesitance [by the media, public and other political factions]. What do you think of pro-Brotherhood campaigning on the international level? The Brotherhood is very successful in lobbying internationally and stirring compassion. They have capable professional public speakers. They are able to voice themselves and create an external lobby in Europe and the US, promoting themselves as victims of a military coup. On the other hand, Egypt’s government, people and parliament are not doing such a great job. We are unable to explain the challenges and exceptional circumstances that we are facing. What is the impact of these lobbies on Egypt? Not substantial. They are not capable of launching large-scale plots right now, but the threat is that the sort of campaigning they do [abroad] distorts the regime’s image, which will be reflected in mutual cooperation programmes between Egypt and the foreign community in terms of their assistance to Egypt’s government and people. 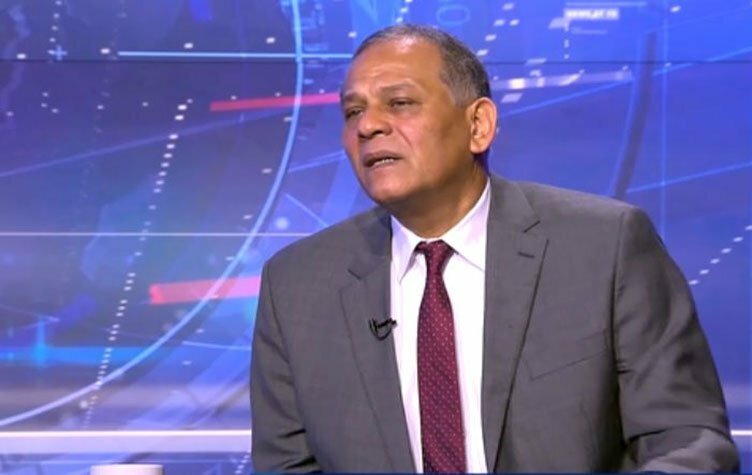 Still, their impact is minor in the face of the interests that govern relations between Egypt and its global partners, who view the country as being in the process of stabilising. What is your evaluation of Al-Sisi’s political performance? I support him as president, and I am convinced by his national efforts internally and externally. However, I want more openness to political forces, and the possibility of listening to different opinions, even those who contradict him, as long as they are made out of respect for the state’s highest interests. For instance, with regards to the large-scale national projects adopted by Al-Sisi and the government: why not listen to the voices that are saying that the country’s financial resources are being drained by projects and that the priority should go to smaller-scale projects that could achieve quicker gains for the people. Some supporters of the president discredit and distrust the people of differing opinions, and that is against the benefit of us all. We all have the same goals and their success is ours. This is a recurrent demand. Do you believe the parliament will help? I hope so, but until now the parliament has not really begun participating in the management of state affairs. It will have a more engaging role after the formation of its internal specialised committees. How do you view political groups that are not inside the parliament, such as the opposition or other independent initiatives? I do not mind the presence of ‘civil alternatives’, such as the one presented by Hamdeen Sabbahi, supported by political parties and some activists, as long as it does not impose itself and respects the legitimacy of this regime and its constitution. Nonetheless, I do not think a majority of people are excited about such initiatives, also due to the fact that many still view political parties and some of these figures as untrustworthy or hopeless. 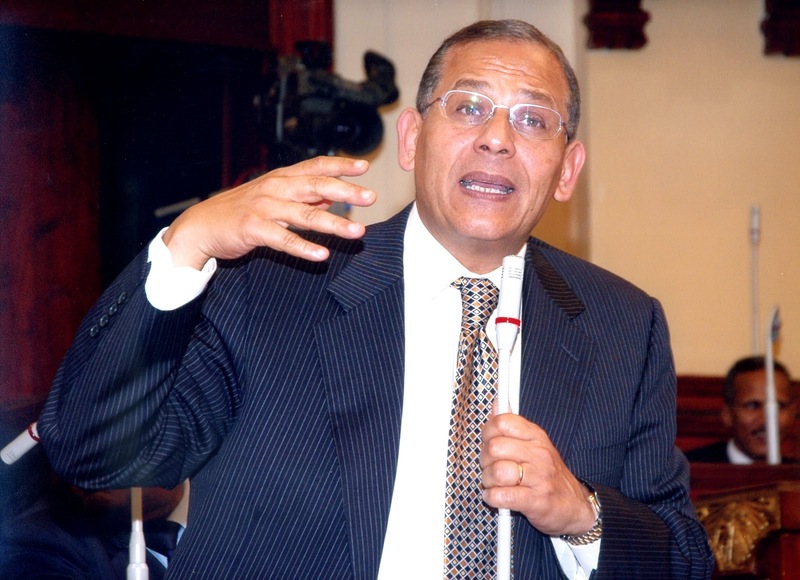 As for the example of Amr Moussa’s initiative aimed at protecting the constitution, I think it stems from the fact that members of the 50-member committee that drafted the constitution feared the claims made by some public figures calling for the amendment some of its articles. Thus, they want to guarantee the implementation [of the constitution]. However, this must not bypass the parliament’s authority, whose main role is to supervise the implementation of the constitution. Even though those politicians have completed their tasks and are not currently directly involved in the political scene, we should not be on the defensive regarding their motives, and must instead work with them through dialogue and workshops, instead of adopting an attitude that has been widespread over the past couple of years, consisting of exchanging accusations and discrediting any civil initiative. What is the current status of Egypt’s political parties and why have they been largely defunct? There are several problems. Parties lack institutionality, funding, and qualified members. Many are falling apart due to lack of consistency over clear ideology. Moreover, over the past few years following the 2011 revolution, political participation depressed amid a confusing scene. Meanwhile, political parties are unable to fund themselves, except those backed by businessmen. I would not necessarily place all the blame on the state—although the state was to blame under the regime of Hosni Mubarak. Maybe some parties need to merge together. Were you invited to be part of the parliamentary coalition named ‘Egypt’s Support’, previously known as ‘For the Love of Egypt’ coalition during the elections? No, I was not; I simply have friendly relations with some members of the coalition. I work better independently, away from being directed by or committed to a group. Does this mean ‘Egypt’s Support’ directs its members? The coalition was based on the idea of voicing the ruling regime[’s wishes], but it needs to understand that the majority of the parliament does not oppose the government. Nonetheless, the parliament needs a majority as it would be more effective for its work, and since no party is capable of forming a majority, the coalition was born, and this is permitted in the constitution. It is not wrong, it just needs to be done properly to ensure the harmonisation of different members. Sometimes, we object to the way they manage the parliament or the behaviours of some members. How do you view the administration of Parliament Speaker Ali Abdul Aal, who is a member of this coalition? He is making a lot of effort, and the experience is new to him. By his own admission, he is an “academic not a politician”. I cannot make a judgment yet. When the parliament begins discussing the cabinet’s programme and state budget, we will really start to understand the size of the coalition’s influence in relation to other coalitions in the parliament, and the extent of the speaker’s objectivity. At the beginning of your work as MPs, you formed temporary specialised committees to review laws. There was doubt as to how the selection of the members occurred–for example, the head of the Human Rights Committee was an MP publicly known to be hostile to such issues and the 25 January Revolution. Well, the selection was not random; it was based on personal choice. The MP you mention is in fact running for the presidency of that committee. He registered and he is running against me for the presidency of the committee. A few weeks ago, you published an article condemning the state crackdown on NGOs. Can you comment on this? I am the head of an NGO [El Sadat Association for Social Development & Welfare] myself and an elected member of the board of directors at the general union for civil society organisations, so I have 14 years of experience, which tells me that NGO work is extremely important to the socio-economic development of the society, especially in areas where the government is falling short. Wanting to regulate their work according to the law and ensure transparency in their funding should not translate into fighting, defaming and intimidating them—as is the current situation. Political and civic education are needed, NGOs have a role in raising awareness. According to international protocols that Egypt has ratified and the constitution, they must at the very least be protected and encouraged. Are there any legal articles stipulating the prohibition of human rights’ criticism of the performance of the state’s security entities? No. NGOs are allowed to document abuses with evidence and demand investigations and accountability. It is not them who should stop, but the actual perpetrators of such acts. If the Interior Ministry is responsible for human rights violations such as torture, unlawful detention and enforced disappearance, they have to be stopped and NGOs must keep revealing [the facts]. What is your opinion regarding the latest European Parliament resolution that was critical of Egypt’s human rights, highlighting the circumstances around Giulio Regeni’s murder? I think the case [of Giulio Regeni] raises many questions. I do not know why Egypt keeps spreading strange rumours about him and the case since it began, but we need more transparency. I was also sorry to see some of the local outraged reactions, which failed to take note of why the case was of international importance—and not interference in our internal affairs. 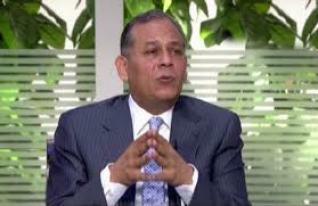 Egypt is bound by international protocols and agreements and the whole world has interests and people in this country. We have to face our problems and fix our mistakes, and we have to guarantee human dignity. This is what we should consider when looking at our future development, investments and lives. أبدى النائب / محمد أنور السادات " رئيس حزب الإصلاح والتنمية " إستياؤه من تأخرالتصديق على لائحة المجلس حتى يتسنى البدء فى إنتخابات اللجان البرلمانية وتشكيلها ويتمكن النواب من آداء دورهم والتعامل مع قضايا وهموم المواطنين خاصة فى ظل التجمعات الكبيرة الذين يتوافدوا وبكثرة أمام البرلمان مطالبين بحقوقهم والتعامل مع مشاكلهم ومظالمهم. تساءل السادات لمصلحة من يتم هذا التعطيل لعمل البرلمان الأمر الذى يثير سخط الشعب ويجعل البرلمان عاجزا عن التعامل مع التزامات دستورية عاجلة أولها الموازنة العامة المفترض أن تصل المجلس اول ابريل القادم لبدء مناقشتها ومراجعة بنود الإعتمادات المالية لقطاعات الصحة والتعليم وغيرها . معتبرا هذا التعطيل المتعمد توجه خاطئ يضر أكثر مما يفيد فالدولة تظل هى المسئول الأول عن قضايا الشعب والبرلمان مجرد اداة أو وسيط . ودعا السادات إلى ضرورة اطلاع وإعلام الشعب على عمل اللجنة التى تم تشكيلها لمناقشة بيان الحكومة أولا بأول بإعتبارها حكومة الشعب ولسنا شعب الحكومة من خلال التغطية الصحفية والتليفزيونية المباشرة. نرجو التعامل مع إختطاف الطائرة المصرية بحرفية ومهنية وعدم التسرع في إلقاء بيانات دون التحرى والدقة من خلال خلية عمل لإدارة الأزمة حتى يكون هناك مصداقية أمام الشعب والعالم الخارجي لأنه من الواضح أن رسالة المختطف هي تصدير صورة سلبية عن إجراءات التفتيش والسلامة في مطاراتنا لضرب حركة السياحة الداخلية والخارجية والتي بذلت الحكومة جهد كبير الفترة الماضية لإستعادة ثقة حكومات وشركات السياحة الدولية. قال محمد أنور السادات، عضو مجلس النواب، إن نيابة أمن الدولة العليا أصدرت بيان عن تقرير الفساد الذى أصدره المستشار هشام جنينة رئيس المركزي للمحاسبات، موضحًا أن ذلك نتيجة لتوليها أمر التقرير من الشق الجنائي. وأضاف خلال مداخلة هاتفية مع الإعلامية لميس الحديدي ببرنامج «هنا العاصمة» المذاع عبر فضائية «سي بي سي »، اليوم الإثنين، أن البيان الذى أصدره «جنينه» تتضمن ملفات الفساد التى وقعت خلال أربعة سنوات، مشيرًا لموقف اللجنة الرئاسية التى قام الرئيس عبد الفتاح السيسي بتشكلها، أنها أنتهت من دراسة التقرير بأنه غير دقيق فى الأرقام التى ذكرت لذلك تم تحويل الملف للبرلمان. خلال شهر من الآن يلتزم أعضاء مجلس النواب بإبداء آرائهم حول البيان الحكومي، والتوصل إلى قرار نهائي إما بمنح الثقة في حكومة المهندس شريف إسماعيل، أو الاعتراض على استمرارها، ومن ثم تشكيل حكومة جديدة. وأحال علي عبد العال، رئيس مجلس النواب، بيان الحكومة إلى لجنة خاصة برئاسة وكيل المجلس السيد الشريف، لدراسته وإعداد تقرير عنه يعرض على الجلسة العامة للمجلس. وتضم اللجنة 50 عضوا من ممثلي الهيئات البرلمانية للأحزاب السياسية، غير أن اعتراض النواب على سيطرة فصيل بعينه على تشكيل اللجنة، وعدم وجود معايير واضحة لتشكيلها، وتقدموا بمذكرة لرئيس البرلمان لرفض التشكيل المعلن، دفع على عبدالعال، إلى فتح أبواب اللجنة على مصراعيه لمن يريد أن ينضم. محمد أنور السادات، النائب البرلماني، وأحد أعضاء لجنة دراسة بيان الحكومة، وصف برنامج الحكومة بالتقليدي، قائلا:"رئيس الوزراء أدلى خطابا من خلال البيان". وأضاف أن الحكومة قامت بتوزيع البيان على النواب لدراسته من خلال اللجنة المعنية بالأمر، ومن المفترض أن تجتمع اللجنة لأول مرة الأربعاء القادم، لمراجعة تفاصيل البيان وتقييمه، ثم كتابة تقرير وتوصياتها عن رؤيتها للبيان وطرحه على النواب في جلسة عامة، لإقرار الرأي النهائي. ولفت إلى أن اللجنة توسعت في عضويتها لكل الأعضاء، ولم تعد قاصرة على 50 عضوا فقط، فأي عضو يريد الانضمام له الحق في ذلك، ومن الوارد أن يتم تقسيم فرعي داخل اللجنة لكل مجموعة مهتمة بمحور معين أن تعمل عليه وتقدم تقرير حوله. وأوضح أن اللجنة ستنتهي من عملها خلال 15 أو 20 يوما على أقصى تقدير، لتبدأ عملية مناقشة البيان في الجلسات العامة، والرد على الحكومة خلال 30 يوما لمنحها الثقة من عدمه وفقا للمادة 146 من الدستور. وكشف النائب مصطفى بكري، أن الدكتور علي عبدالعال رئيس مجلس النواب، قرر تشكيل لجنة خاصة تضم 50 عضوا، بينهم 16 نائبا من رؤساء الهيئات البرلمانية للأحزاب، والباقي من المستقلين، لمراجعة بيان الحكومة. وقالت آمنة نصير، عضو مجلس النواب، وعضو اللجنة المشكلة لدراسة برنامج الحكومة، إن اللجنة ستبدأ عملها الأربعاء المقبل في الخامسة مساء، موضحة أن اللجنة ستقوم بمناقشة بيان الحكومة وبرنامجها، ومن ثم اتخاذ قرار بقبوله أو رفضه في جلسة عامة. وأضافت أن نظام العمل داخل اللجنة سيقوم على أساس أن كل نائب برلماني مهتم بأحد المحاور التي طرحتها الحكومة سيشارك في مناقشته، واعتبرت أن برنامج الحكومة يمتلك رؤية جيدة، معبرة عن أملها في أن تكون قابلة للتنفيذ علي أرض الواقع. ووصف صلاح عيسي، الكاتب الصحفي، البرنامج الذي طرحه المهندس شريف إسماعيل للأوضاع الراهنة بالطموح، لكن مجمل الصعوبات الاقتصادية المحيطة بالوضع المصري يجعلا إمكانية تنفيذ ما ورد في البرنامج صعب جدا، بقياس بالظروف المحيطة بالبلاد. وأعرب عن أمله في أن تنجح الحكومة في تنفيذه وتدبير الموارد اللازمة لتمويلها، سواء من الميزانية العامة أو من جذب الاستثمارات، مشيرا إلى أن البرنامج حاول أن يتطرق إلى المسائل السياسية على استحياء، لكنه في مجمله فني تكنوقراطي. وأضاف أن الجوانب السياسية في البرنامج بدت غير مفصلة، مما يدل أن الحكومة ليست سياسية بالمرة، فلا يوجد تفاصيل حول تطبيق الديمقراطية، التي بدت كشعار تتغنى به الحكومة، وكذلك أزمة المياه وسد النهضة التي تناولها البرنامج في إشارات عامة. قال عضو مجلس النواب محمد أنور السادات، إن بيان الحكومة الذي ألقاه رئيس مجلس الوزراء أمس اﻷحد، جاء تقليدي لا جديد به يشرح الوضع الراهن والتحديات، ولكن بدون تفاصيل. وأضاف السادات في حوار مع فضائية “أون تي في” اليوم الإثنين، أن الجديد اﻵن هو أن الحكومة جاءت من خلال دستور جديد، أعطى صلاحيات لمجلس النواب في استجواب الوزراء، وكان هناك هيبة لدى الحكومة من المجلس أمس. وتابع أن بيان الحكومة كان سياسي يتحدث عن أحلامها وتحدياتها، ﻻفتاً إلى أن العبرة باللجنة التي شكلت لتقسيم برنامج الحكومة إلى قطاعات يتولاها مجموعات، وأنه كان يفضل أن يتم تقسيم برنامج الحكومة على لجان نوعية متخصصة. وأكد السادات على أنه على الحكومة النظر إلى قضايا المواطنين الملحة وتحقق مطالبهم ببرنامجها لإرضاء الشارع المصري، مشيراً إلى أن محيط المجلس شهد أمس تظاهرات عديدة من حملة الماجستير والدكتوراة، واهالى المعتقلين والمختفيين، وذوي الإعاقة، وبالتالي هناك شعب غاضب ينتظر تحرك الحكومة والنواب. قال عضو مجلس النواب، النائب محمد أنور السادات، إن برنامج الحكومة لن يمرر ببساطة كما يتوقع البعض، وستكون هناك تحفظات لأعضاء النواب على البرنامج. أضاف السادات، خلال لقاءه الاثنين 28 مارس مع الإعلامية دعاء جاد الحق في برنامج «اليوم في ساعة» على شاشة النهار اليوم، أن الحكومة عرضت برنامجها أمس على مجلس النواب في ظل دستور يتضمن صلاحيات لأعضاء مجلس النواب يتيح لهم سحب أو تجديد الثقة في الحكومة، إلا أنه وصف فرصة حصول الحكومة على تجديد الثقة من أعضاء النواب ب "الكبيرة". ولفت السادات إلى أن مجلس النواب سيحاسب الحكومة في حال إخفاقها على تنفيذ البرنامج، في ظل أن المواطن المصري لم يعد يستطيع تحمل مزيداً من الأزمات الاقتصادية. ونوه السادات، فيما يتعلق باللجنة التي يشكلها مجلس النواب لمراجعة برنامج الحكومة، أن الحد الأقصى المقرر للانضمام للجنة يمكن أن يصل عددها إلى 70 عضواً وتنتهي من عملها خلال عشرة أيام، ويرسل المجلس خلال الثلاثة أيام المقبلة له قانون خطة الموازنة، وهو من الموضوعات المهمة التي ستشهد نقاشاً بالبرلمان خلال الأيام المقبلة. وكشف السادات أن الأربعاء المقبل يشهد إقرار لائحة النواب وإرسالها بشكلها النهائي إلى رئيس الجمهورية. قال النائب البرلماني، محمد أنور السادات، عضو مجلس النواب، إنهم سيراقبون ما أعلنته الحكومة في برنامجها بكافة الطرق التي يسمح بها البرلمان، مشيرًا إلى أن محيط البرلمان شهد استغاثات لأصحاب المطالب من مختلف الفئات ويجب التعامل معها بوجه السرعة. وأضاف عضو مجلس النواب، خلال تصريحاته ببرنامج "الساعة 7" المذاع على قناة "سي بي سي إكسترا"، مساء اليوم الأحد: أنه يجب على الحكومة أن تبدأ بنفسها في تخفيض النفقات. قال النائب محمد أنور السادات عضو مجلس النواب، إنه لايعتقد أن الحكومة تبيع الوهم للمواطنين من خلال البيان الذي ألقاه رئيس الوزراء الهندس شريف إسماعيل أمام البرلمان اليوم، وذلك لسبب بسيط وهو توفر آليات المحاسبة للحكومة. وأكد خلال حواره مع الإعلامي عمرو خليل، في برنامج «الساعة السابعة»، المذاع على فضائية «سي بي سي إكسترا»، "ماحدش تاني هيشتري الوهم علشان هيبقي فيه محاسبة بالتأكيد إزاء كل ما تم عرضة من مشروعات للوقوف على تنفيذها". ولفت إلى أن النائب من حقه أن يعلن حقيقة الأمر للمواطنين، من خلال الأدوات المتاحة له في البرلمان. أكد النائب البرلماني، محمد أنور السادات، أن البرلمان سيراقب ما أعلنته الحكومة فى برنامجها بكافة الطرق التى يسمح بها البرلمان. وقال «السادات» خلال حواره في برنامج «الساعة السابعة» عبر فضائية «سي بي سي إكسترا» مساء اليوم الإثنين، إنه يجب على الحكومة أن تبدأ بنفسها فى تخفيض النفقات، موضحاً أن هناك عدد من الوزراء والمحافظين تسببوا في زيادة الإنفاق بعد شراء سيارات جديدة لهم من ميزانيات الحكومة. وأشار النائب البرلماني، إلى أنه يجب على الحكومة ترشيد الإنفاق في المرحلة الراهنة بشكل صارم لوقف إهدار المال العام، مضيفاً أن محيط البرلمان شهد استغاثات لأصحاب المطالب من مختلف الفئات ويجب التعامل معها بوجه السرعة. عبدالرحيم على: "هزيل وخرجت بعده نايم".. أحمد المشنب: حبر على ورق.. السادات: "تقليدى وسمعنا زيه قبل كده".. عمرو أبواليزيد: كلام إنشائى.. و"دعم مصر" متصديًا للهجوم: "إحنا راضيين عن البيان"
تباينت آراء أعضاء مجلس النواب حول بيان الحكومة الذى عرضه المهندس شريف إسماعيل، ما بين الإشادة والانتقاد، حيث ذهب الفريق الأول إلى أن البرنامج يتضمن خطة يمكن أن ترتقى بالبلاد خاصة فى ظل التحديات. تباينت آراء أعضاء مجلس النواب حول بيان الحكومة الذى عرضه المهندس شريف إسماعيل، رئيس مجلس الوزراء، ما بين الإشادة والانتقاد، حيث ذهب الفريق الأول إلى أن البرنامج يتضمن خطة يمكن أن ترتقى بالبلاد خاصة فى ظل التحديات التى تواجه البلاد، فيما يرى الفريق الآخر أن البيان غير واضح بل وتقليدى ولم يقدم أى جديد حتى إن أحد النواب قال مستهجنا: "أنا نمت وقت البيان". فيما آثار تشكيل اللجنة الخاصة المعنية بدراسة بيان الحكومة، والمكونة من 50 نائبًا، فتنة داخل مجلس النواب، حيث وجه عدد من النواب المستقلين انتقادات حادة لهيئة مكتب المجلس، بسبب عدم وجود آلية واضحة فى تشكيل اللجنة الخاصة، ومن بينهم النائب أحمد سميح، الذى تساءل: "هو مفيش عندهم غير قائمة فى حب مصر؟"، بل وقدموا مذكرة إلى رئيس مجلس النواب الدكتور على عبد العال فى هذا الصدد. 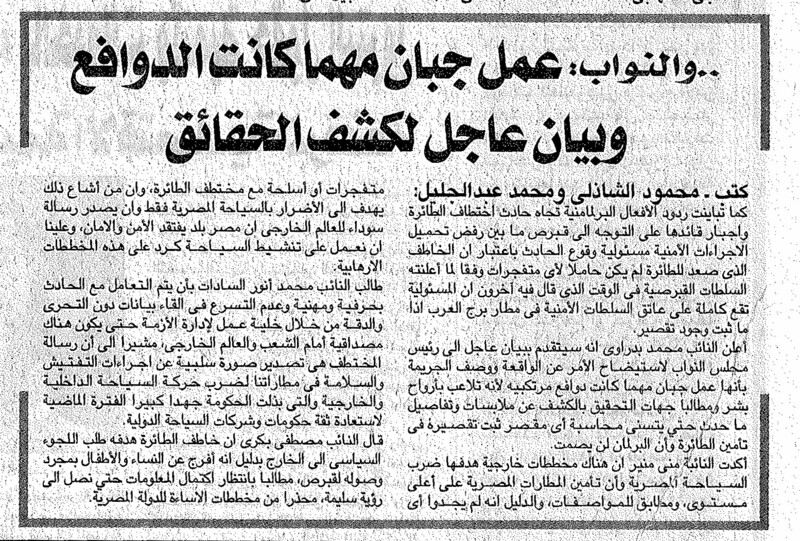 وفى أول رد فعل من ائتلاف دعم مصر، قال النائب طاهر أبو زيد، عضو مجلس النواب، والأمين العام لائتلاف "دعم مصر"، إن بيان الحكومة الذى ألقاه المهندس شريف إسماعيل، رئيس مجلس الوزراء، أمام البرلمان اليوم، الأحد، متوازن، وجسد الصورة الحقيقية التى عليها مصر. وأضاف "أبو زيد"، فى تصريح خاص، خلال تواجده اليوم بمقر مجلس النواب، أن البيان وضع حلولًا نتمنى أن تكون قابلة للتطبيق، لأن مهمتها ليست سهلة وفى ظروف اقتصادية عصيبة، متابعًا: "وإحنا كائتلاف راضيين على البيان بشكل مبدئى، وسنتابع الحكومة، ولنا ممثلون فى اللجنة المشكلة لنظر بيانها، وسنتابع معهم خطواتها أيضًا". فيما قال أسامة هيكل، عضو ائتلاف دعم مصر، إن الائتلاف سيشكل لجنة لدراسة البيان، متابعًا: "البيان فى مجمله جيد، لكن سنرى إمكانية تطبيق ما جاء به من الناحية العملية". وعلق على اعتراضات عدد من النواب، بشأن تشكيل اللجنة الخاصة المشكلة لمناقشة بيان الحكومة: "النواب بيعترضوا على تشكيل أى لجنة خاصة، رغم أن اللجنة تضم جميع فئات وكتل المجلس، وأنا مستعد أتنازل عن مقعدى لو حد زعلان". أما عن موقف حزب المصريين الأحرار، فقال عضو مجلس النواب علاء عابد، رئيس الهيئة البرلمانية لحزب المصريين الأحرار، فى تعليقه على بيان الحكومة: "تلك حكومة جديدة جاءت بعد ثورتين، وفى ظل برلمان منتخب، شىء طبيعى أن يُقال بهذا الشكل، لكن موافقة البرلمان من عدمه ستأتى بعد دراسة متأنية للبيان". وتساءل "عابد" عن آليات التنفيذ: "أسأل المهندس شريف إسماعيل عن مصادر التمويل لتنفيذ بيانه، هل هيجيب استثمارات أجنبية، أم هينشط السياحة الداخلية؟". وفى تعليقه على تشكيل اللجنة الخاصة، أكد عابد، أن اللجنة الخاصة مثلت كل الفئات، متابعًا: "ضمت كل الأعضاء، قد يكون بعض المستقلين انزعجوا، لكن الأيام المقبلة ستشهد مشاركتهم جميعًا". وأكد النائب أحمد حلمى الشريف، رئيس الهيئة البرلمانية لحزب المؤتمر، أن ما جاء ببيان الحكومة إيجابى، وأضاف أن الحزب ليس لديه موقف مسبق من برنامج الحكومة سواء بالرفض أو القبول، قائلا: "ولو طبق هذا البرنامج بمعدلات زمنية واضحة ومحددة سيكون أمرًا جيدًا". وقال النائب الشاب عن حزب الوفد عمرو أبو اليزيد، إن بيان الحكومة الذى عرضه المهندس شريف إسماعيل، اليوم، على مجلس النواب كان يحتاج مزيدا من التوضيح، لافتا إلى أنه كان فى حاجة إلى مزيد من التوضيحات، قائلا: "بيان الحكومة كان كلام إنشاء". وأضاف النائب الوفدى عن دائرة بولاق الدكرور بمحافظة الجيزة، أنه كان يجب استبعاد عدد من الوزراء خلال التعديل الوزارى الأخير، وهم وزراء الصحة والتربية والتعليم والتضامن الاجتماعى والزراعة، نظرا لأدائهم الضعيف، على حد وصفه. ويعقد ائتلاف (25-30) اجتماعًا، اليوم، لتقييم بيان الحكومة، إلا أن أعضاءه صرحوا فى تعليقهم الأول أن البيان غير واضح، حيث قال أحمد الشرقاوى، إن البيان بشكل مبدئى غير واضح وكان يجب أن يتضمن مجموعة من التفصيلات. فيما قال النائب هثيم الحريرى، عضو مجلس النواب عن ائتلاف (25-30)، إنه لم يستشعر وجود خطة تنفيذية واضحة فى بيان حكومة المهندس شريف إسماعيل، فلا معايير واضحة ومواعيد محددة لتنفيذه، لافتًا إلى أن البيان يهدف إلى إرضاء الذوق العام للنواب ولم يتطرق للتفاصيل من أجل تمرير الحكومة ومنعا للصدام بين النواب، والخطاب لم يتطرق لشكل واضح فيما يتعلق بالدعم سواء بزيادته أو تخفيضه. وعلق الحريرى على آلية اختيار أعضاء اللجنة المشكلة من قبل رئيس المجلس لمناقشة بيان الحكومة قائلا: لا ندرى ما هى الآلية التى يتم على أساسها ذلك الاختيار، لافتًا إلى أن ائتلاف العدالة الاجتماعية الذى يمثلهم لم يتم اختيار أحد سوى النائب ضياء الدين داود، والاختيار تم بنفس طريقة اختيار سفر الوفود. واتفق مدحت الشريف، عضو مجلس النواب عن دائرة مصر الجديدة، مع الحريرى حيث يرى أن بيان الحكومة لا يحتوى على مؤشرات أداء واضحة تقاس بأرقام ومدد زمنية وأن معظم الأزمنة مفتوحة. وأضاف الشريف، مؤسس تكتل "الإرادة المصرية"، أن التكتل متوافق مع بعضه ويعكف حاليًا على دراسة بيان الحكومة لإبداء الرأى فيه. ويرى النائب محمد أنور السادات، رئيس حزب الإصلاح والتنمية، أن البيان تقليدى، قائلا: "البيان دا سمعنا زيه قبل كده من رؤساء وزراء سابقين، والعبرة بالتفاصيل التى ستناقشها اللجنة الخاصة المشكلة لدراسة البيان". ووصف النائب عبد الرحيم على بيان رئيس الوزراء بالهزيل، وقال إن رئيس الوزراء فشل فشلا ذريعا فى عرض برنامجه بما يليق بخطورة المرحلة وحجم التحديات، والبيان لا يليق بالمرحلة التى نعيشها التى تعتبر فى منتهى الخطورة. وقال فى تصريحات لـ"برلمانى": "لم أشعر أنى أمام مقاتل وأمام رجل المرحلة ولكنى شعرت أنى أمام موظف كبير يقرأ تقارير تلقاها من مجموعة موظفين تابعين له، فرئيس الوزراء لم يشعرنى فى برنامجه بحجم الخطر وحجم التحدى المطلوب منا كنواب وكشعب ومن الحكومة ولم يتحدث بروح قتالية، وكنت أفضل أن يكون البيان فى 30 دقيقة يتم إلقاؤه بروح قتالية ومحدد به المشاكل والتحديات فأخرج منه وأنا كلى تحدى لكن للأسف أنا طالع من البيان وأنا نايم". واعترض النائب مرتضى منصور، على تشكيل اللجنة الخاصة المشكلة للنظر فى بيان الحكومة، فى تصريح لـ"برلمانى"، قائلاً: "التنفيذ أهم من البيان، وبالنسبة للجنة اللى هتناقش البيان، أنا شايف محور اسمه الشباب والرياضة، لا شفت حد فى اللجنة من الشباب ولا الرياضة، وفى صف ورا 6 أو 7 بيقعدوا ورا مع بعض خدوهم فى اللجنة علشان ما يزعلوش". ووصف أحمد وائل المشنب، عضو مجلس النواب المستقل، بيان الحكومة بأنه "حبر على ورق"، مطالبًا بجدول زمنى لتنفيذه. قال محمد أنور السادات، رئيس حزب الإصلاح والتنمية، إن الدعوة التى دعيا اليها هو ومجموعة من النواب والوزراء ورئيس البرلمان جاءت لمناقشة موضوع له أهمية خاصة “قانون الإدارة المحلية”، ونحن بصدد الانتخابات المحلية مع بداية العام المقبل وتم الاستماع لملامح بعض القوانين المقدمة. وشدد السادات فى تصريحات خاصة لفيديو 7 “قناة اليوم السابع المصورة”، على أهمية دور المحليات فى مواجهة الفساد، مضيفا أنه إذا تم ضبط قانون المحليات سوف تتاح الفرصة أمام نواب المجلس للتفرغ للدور التشريعى. أكد محمد أنور السادات عضو مجلس النواب، على ضرورة قيام مجلس النواب بإصدار قرار من رئيس المجلس أو بالتصويت على بث بيان الحكومة أمام المجلس غدًا الأحد، موضحًا أن ذلك يهم جميع الشعب المصري. وأوضح "السادات"، أنه يجب توزيع البيان على جميع اللجان النوعية ليبدأ كل منها بدراسة ما يخصه من البيان وتنتهي الدراسة بالقبول أو الرفض، وليس تشكيل لجنة خاصة لدراسته. وقال "السادات"، فى مداخلة له مع الإعلامية لميس الحديدي فى برنامجها "هنا العاصمة" المذاع على فضائية "سى بى سى"، اليوم السبت، "سنطلب غدًا التصويت على بث بيان الحكومة مباشرة ولا يوجد أي تخوف من البيان، وعلينا طمأنة الشعب ". قال محمد أنور السادات، عضو مجلس النواب، إنه تاريخيا لا يعلم أحد أسباب بقاء أو رحيل وزير في أية حكومة، وهو ما يفسر أسباب الغموض التي أحاطت بالتعديل الأخير في حكومة المهندس شريف إسماعيل. وأضاف خلال لقائه ببرنامج "الصورة الكاملة"، تقديم الإعلامية لليان داود، المذاع علي فضائية "أون تي في"، مساء أمس الخميس، أن الدستور اليوم يحكم التشكيل الوزاري ثم حصولها علي الثقة، وعند إجراء تعديل وزاري لابد من الحصول علي موافقة البرلمان، وهذا ما لم يكن موجودا سابقا. وتابع أن معايير اختيار الوزراء تخضع إلي الأن لرؤية رئيس الجمهورية، ورئيس حكومته، ولا يوجد معايير واضحة، فمازال الغموض يخيم على حقائب وزارية بعينها. عدد كبير من الاستجوابات وطلبات الإحاطة تنهال على مجلس النواب، حيث تقدم معظم نواب البرلمان باستجوابات ضد الوزراء والهيئات المختلفة والذي وصل عددها لأكثر من 210 طلب إحاطة واستجواب، رغم أن الخبراء الدستوريين يؤكدون عدم جدوى ذلك. وتقدم النائب محمد أنور السادات عضو المجلس عن حزب الإصلاح والتنمية بأعلى عدد من الاستجوابات بين أعضاء المجلس حيث وصلت لأكثر من 17 استجوابًا لمعظم الوزراء تقريبًا. وقد جاء أول استجواب لأنور السادات لمجلس النواب حول عدم نشر القرارات بالجريدة الرسمية، فيما كان أكبر عدد من الاستجوابات من نصيب عدد محدد من الوزرات وهي: التعليم والصحة والزراعة والري والبترول والتنمية المحلية. ومن أبزر الاستجوابات التي قدمت استجواب النائب الدكتور سمير غطاس، والذي تقدم به لوزير الري السابق حسام المغازي، واتهمه فيه بالخيانة العظمي بسبب التصريحات التي اعتبرها النائب ستشعل الحرب بين مصر وإثيوبيا. أيضًا الاستجوابات التي كان سيتقدم بها النائب المسقوط عنه العضوية توفيق عكاشه لوزير الداخلية، ووزير الزراعة والصحة والبترول والري والتي قال فيها عكاشة: إن عمليات تنفيذ الأحكام التي تقوم بها الشرطة تخضع لمعايير غير عادلة، وأن هناك الكيل بمكيالين من قبل أفراد الشرطة، مشيرًا إلى أكثر حوادث التعذيب والصعق بالكهرباء تتم بمحافظتي الدقهلية وكفر الشيخ. وأشار عكاشة إلى أنه سيتقدم باقتراح برغبة بتعديل قانون الشرطة الذي يدير الضباط ويعكس حالتهم النفسية السيئة على المواطنين، مشيرا إلى أن هذا القانون يتضمن العديد من المواد التي تجعل من الوزير أداة للتنكيل بالضباط الشرفاء. وأكد أصغر نائب في البرلمان، حسن عمر حسنين، أن أول استجواب سيقدمه في البرلمان سيكون ضد وزير البيئة بسبب التلوث الذي ينتج عن مصنع الأسمدة بأبو زعبل وقرية العكرشة الصناعية، ومصنع تكرير البترول، لافتا إلى أن المصنع يهدد حياة المواطنين. ومن أغرب الاستجوابات الذي تقدم به المستشار النائب مرتضى منصور ضد الدكتورة منى مينا، عضو مجلس نقابة الأطباء، على خلفية مطالبتها بعدم معالجة رجال الداخلية في المستشفيات بعد أزمة المطرية، مؤكدا أن التصريح الذي أدلت به "مينا" جريمة يعاقب عليها القانون، لافتا إلى أنه سيطالب المجلس بضرورة إحالتها للمحاكمة حتى لا تقوم بمثل تلك الأمور مرة أخرى. فيما تقدم النائب أحمد مرتضى منصور بطلب إحاطة لوزير التربية والتعليم، في أول استجواب لمجلس النواب. وفي السياق، أكد نائب حزب النور أحمد عبده العرجاوي، أن أول استجواب له سيكون من نصيب وزير الري، لافتًا إلى أن هناك مشاكل في جودة المياه، وشبكات الصرف الصحي. هذا وتقدم العديد من نواب المجلس على رأسهم النائب مصطفى بكري بطلب إحاطة ضد النائب البرلماني توفيق عكاشة، بعد استضافة الأخير، للسفير الإسرائيلى حاييم كورين في منزله. وكانت من أغرب طلبات الإحاطة ما تقدم به النائب سيد فراج إلى الدكتور على عبدالعال رئيس مجلس النواب، يطالب فيه اللواء مجدى عبدالغفار وزير الداخلية، للتحقيق الفوري مع مأمور قسم حدائق القبة وجميع قيادات وضباط القسم لمنعهم المتهم عبدالرحمن على إسماعيل المحجوز على إحدى قضايا القسم من الخروج أمام باب القسم لإلقاء نظرة الوداع الأخيرة على والدته التي وصل جثمانها إلى باب القسم. وقال النائب، الذي كان يحمل الجثمان مع جماهير الدائرة: "حاولت مع ضباط القسم والمأمور تلبية رغبة المحتجز إﻻ أن جميع المحاولات باءت بالفشل رغم أنها حالة إنسانية كان يجب اﻻستجابة لها". قال النائب محمد أنور السادات، عضو مجلس النواب عن دائرة تلا والشهداء بمحافظة المنوفية، ورئيس حزب الإصلاح والتنمية، إنه سيتقدم بطلب إحاطة إلى وزير العدل الجديد، المستشار محمد حسام، حول عمليه التصالح التى تتم بمعرفة جهاز الكسب غير المشروع، مع بعض رجال الأعمال والمسؤولين السابقين، المتواجدين داخل مصر أو خارجها، فيما يخص قضايا الفساد وتهريب الأموال. وأضاف "السادات" – فى تصريح خاص لـ"برلمانى"، اليوم الخميس – أنه سيؤكد فى طلبه الذى سيتقدم به للدكتور على عبد العال، رئيس مجلس النواب، يوم السبت المقبل، على أهمية هذا الملف لمجلس النواب، وأنه يجب على وزارة العدل تقديم بيان بخطتها بشأن معرفة مصير التحركات المهمة والعملية المتبعة لاسترداد هذه الأموال على الجلسة العامة للمجلس . ونحن نشعر بحزن عميق بعد الهجوم الإرهابي المروع مما يؤدي إلى خسارة أرواح بريئة والجرحى. ونحن نشارك الحداد والغضب يصلون إلى الله أن يحمي بلادنا والناس في جميع أنحاء العالم حتى نتمكن من العيش في سلام وأمن. We are deeply saddened after the horrible terrorist attack leading to innocent lives lost and injured. We share your mourning and anger praying to God to protect our countries and people all over the world so we can live in peace and security. قال النائب محمد أنور السادات، رئيس حزب الإصلاح والتنمية، إن الأجندة التشريعية للبرلمان خلال الفترة المقبلة، بعد عرض بيان الحكومة، ستحكمها أولويات الحكومة التشريعية بمساعدة هيئة مكتب المجلس. وأوضح "السادات"، خلال كلمته بندوة نظمتها الجامعة الأمريكية بالقاهرة اليوم الأربعاء، أن الفترة التالية لمناقشة بيان الحكومة ستشهد مناقشة تعديلات قانون الشرطة والضريبة المضافة والخدمة المدنية، ثم التأمين الصحى الشامل والإدارة المحلية. وأكد رئيس حزب الإصلاح والتنمية على أن استدعاء القرارات بقوانين التى تم الموافقة عليها سيكون غاية فى الصعوبة نظرا لالتزام البرلمان ببعض القوانين التى فرضها عليه الدستور، مثل قانون العدالة الانتقالية وتنظيم بناء وترميم الكنائس.